I’ve discovered some new and exciting products I want to share with you, as well as some fun websites and videos. Tune in every Friday for some fun stuff! Starting right now! This week I discovered Beauty Counter. Now, I am a Mary Kay girl at heart but they have changed a few formulas for one of my favorite products. So, I’m on a search to find something new to love. Enter my Beauty Counter Rep, Lynn. I told her what I am looking for and she sent me an entire face kit to try out. How awesome is that?! Getting to try in home before you buy is such a fantastic way to shop! Why Beauty Counter? Beauty Counter products are toxin free, safe for cancer patients and their products score low on the Environmental Work Group’s Skin Deep Cosmetics Database. A low score means there is a low hazard to using a product. I tested Dew Skin Tinted Moisturizer with an SPF 20. One of the best weapons we have against fine lines and wrinkles is using an SPF. Sun damage is the number one reason we get wrinkles. This tinted moisturizer is light weight, non-greasy and provides a slightly dewy look. I was most impressed that the light color fit my skin tone immediately. You have no idea how much this pale girl has struggled to find the right shades of foundation/cover up. I have worn this tinted moisturizer every day for a week and I love it’s flawless coverage and how it evens out my skin tone! It has a very light scent and I love that I am not covering my skin with chemicals that are just not necessary to be beautiful! 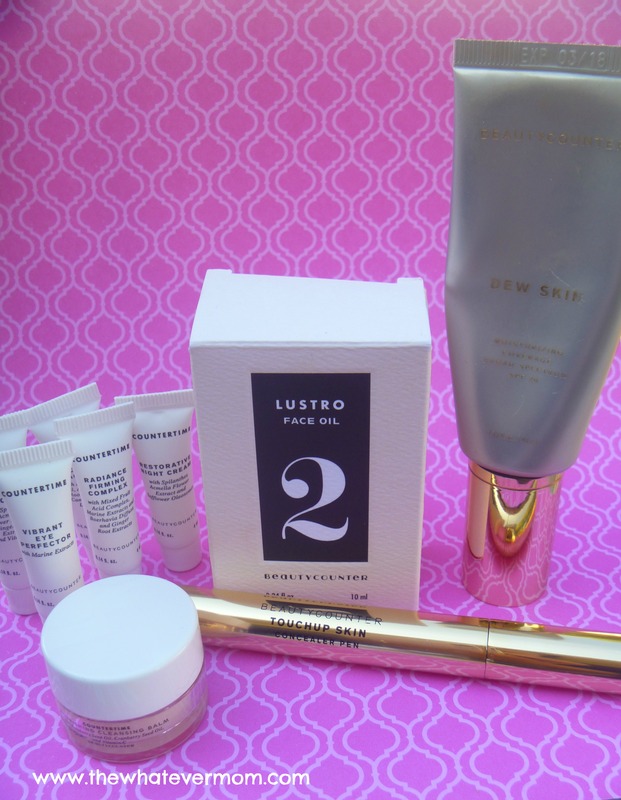 Tune in next week for more Beauty Counter Favorites! No financial compensation was given for this review. All opinions and excitement expressed for this product are provided by The Whatever Mom. 25 Comments on Announcing: Friday Favorites! These products sound so good – toxin free? Do you know if they’re cruelty free too? This is a great post! I’ve never heard of this brand or these products, but I’m always up for trying new products that are safe, healthy, and not tested on animals, so I’ll check these out! Thanks for sharing! This tinted moisturizer looks right up my alley. Thanks for sharing. It is new to me too but I love it so far! I agree – you do need sunscreen! I think that being so faired skin, I learned this lesson in my teens and saved myself a lot of anguish now!! 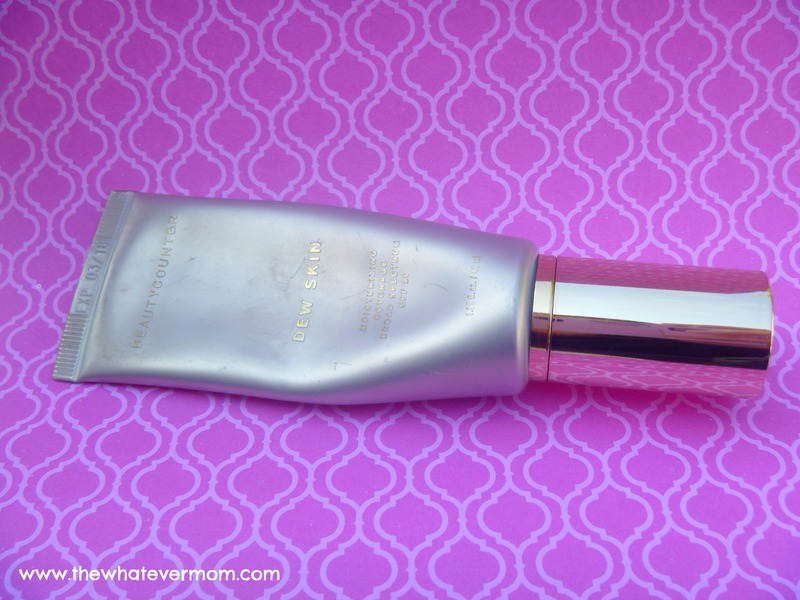 I love tinted moisturizer, great review of this brand. I havent heard of them before. Getting to try beauty products at home is always so much less intimidating! And you’re right — sunblock is so important! I’ve never heard of this brand before. I plan on checking this out because I am always looking for products with sunscreen! I have never heard of them either – but may check into them. I love your Friday Favorites. I am interested in trying the tinted moisturizer. Great review, thanks for the suggestions! Thanks for the reviews! It is so important to use sunscreen – I am glad that it is in my moisturizer as well! These all sound like great products. I like that they are not tested on animals. Thanks for the recommendations! I’ve never heard of this brand before! So glad you found something you love! I like how Beauty Counter is a healthier choice for your skin according to the Environmental Work Group’s Skin Deep Cosmetics Database. One thing I have been diligent about with my skin products is SPF. Oooo your products sound pretty fabulous!!! I can’t live with ought a great facial moisturizer! I haven’t tried moisturizers yet. I’m afraid of using products. Maybe I can start with this one. Tinted moisturizer is my favorite! I wear it every day!